Want to learn meditation in Hamilton Ontario? Then I’ve got good news for you. We have spaces available in our meditation lessons for those in the Hamilton, Ontario area. We’re just down on Garside Avenue, near Rosedale and Gauge Park. And we focus on private meditation lessons. But our spaces are limited and they’re selling out fast. Did you know: there are 31 major meditation techniques. So why do most meditation classes in Hamilton only teach you one way of meditating? Look around at meditation classed in Hamilton Ontario and you’ll find they only teach one or two of the main techniques. As a private meditation teacher, I teach them all. You may be interested in Buddhist meditation lessons— in Vipassana or mindfulness, for instance. You might be interested in yoga meditations to complement your yoga practice. Or you might want to learn a variety of meditation techniques and choose the right one for you, instead of just being spoon-fed the method that other teachers tell you you should learn. There are many ways to meditate. Most classes only teach you one or two methods. In my private meditation classes, I teach them all. That’s why my classes are the number one choice for learning meditation in Hamilton Ontario. You know that there are more than 100 benefits of meditation. Meditation will help stop stress, anxiety, depression, and other health problems. And I will show you how in my lessons. 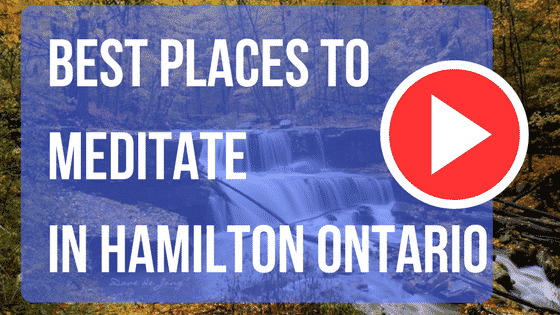 Here are 5 reasons you’ll love my meditation classes in Hamilton Ontario. Many of my customers have told me how they found Hamilton meditation classes too serious. “I wasn’t interested in becoming a monk. I just wanted to relax and be happy,” they say. That’s why I have specially developed my Hamilton meditation lessons in order to make them fun and easy even for total newcomers. Never meditated before? Great. You will be learning from a professional who completely understands your needs as a newcomer. You will learn from the very beginning. As your meditation teacher I will make every step of your journey fun, easy, and comfortable. You wont find local meditation classes in Hamilton Ontario any more fun than this. Plenty of people in “The Hammer” told me they were looking for local meditation classes that are convenient. I have heard feedback from thousands of meditation practitioners. And I often hear precisely the same thing. People tell me they cannot meditate in a “temple” or in a “sacred meditation space” or in those “meditation halls” where our competitors teach. That is completely natural. When you are in a space that you do not know, you will naturally be concerned with your whereabouts and you will not feel comfortable enough to relax. That’s just human nature. That’s why I bring my private meditation lessons to you. That’s right. My Hamilton Ontario meditation lessons take place at your place. It can’t get easier than that! Yes, thanks to customer feedback, I have made the special decision to teach meditation lessons privately at students’ homes. That is where you feel most comfortable. That is where you will be able to focus. That is where you will be best able to meditate. If you’re in Hamilton Ontario, the meditation teacher will come to you. I’m happy to do this for you because I care so much about your happiness and health. You are my priority. That is why I am the only Hamilton meditation teacher who will bring meditation lessons right to your very own home. In my surveys, 87% of people said they found that our competitors’ meditation lessons were too antiquated. I have spent decades mastering meditation techniques and we have translated those techniques for the 21st Century. 21st Century meditation is meditation for today, meditation specially catering to your individual needs. My private meditation classes in Hamilton Ontario are unique because they are cutting edge. 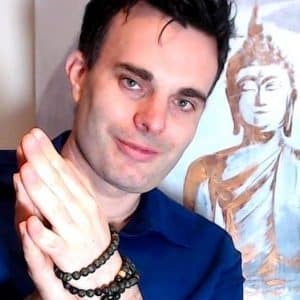 If you have tried meditation elsewhere and not gotten the result you want, I guarantee you will get the results you want from my unique meditation lessons. Where will you find a meditation teacher inn Hamilton who is available 24 / 7 online and who works 365 days a year to create a thriving online community for meditation students? I know that meditation does not end when you open your eyes. It continues. Outside of your lesson you will want to continue to learn. I offer you the resources to do that. With a leading blog, insightful literature, buzzing social media profiles, and 24 / 7 customer support, I bring you meditation like no other competitor in the world. What is a meditation teacher? Some say a teacher is someone who passes on information. Some say a teacher is a guru, someone to look up to. Me? I’m on your level. I believe a meditation teacher is a friend—a friend who is there to support and nurture your development. When you book TheDailyMeditation.com’s meditation lessons in Hamilton Ontario, you don’t just get a meditation teacher. You get a friend; someone who will be there to nurture your personal development and to offer support while guiding you through meditation. This is the future of meditation in Hamilton Ontario. But you must book fast. My sessions sell out quickly. Book now to avoid disappointment. I look forward to meeting you.